How to keep you brain sharp? Having a sharp mind means the quickness of a person to interpret, understand, analyse or pick up an idea effectively. Brain functions start to decline in your mid 20s, although you may notice it decades later. Just like other parts of your body, the brain also becomes more powerful by exercising it. One's mental capacity and thinking power can be improved by doing some brain exercises. Brain exercises can sharpen one's mind and strengthen neural connections in the brain. 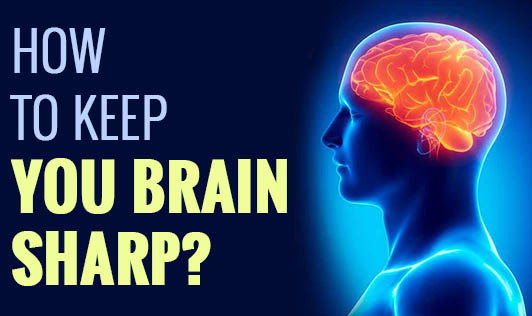 Keep in mind that brain sharpening is not possible in one day, it needs daily brain exercise and within a few days you will notice the change. Additionally, it's also imperative that one eats healthy, gets ample amount of sleep and exercises daily.